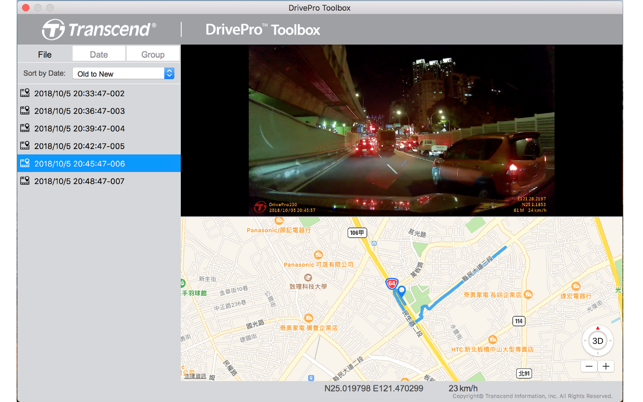 DrivePro is designed to work with Transcend DrivePro Car Video Recorder. 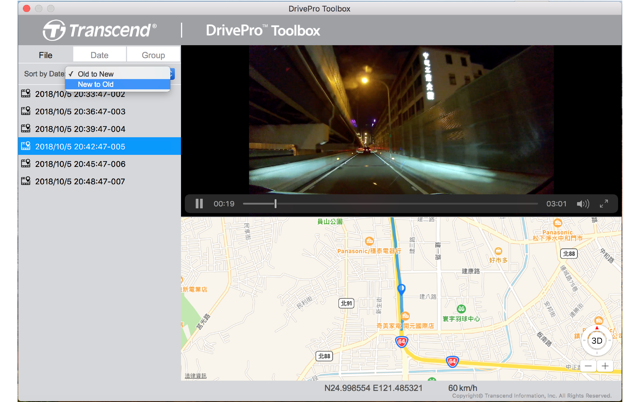 DrivePro features a user-friendly interface that allows you to select and play videos recorded on your DrivePro Car Video Recorder without the need to install separate codecs. 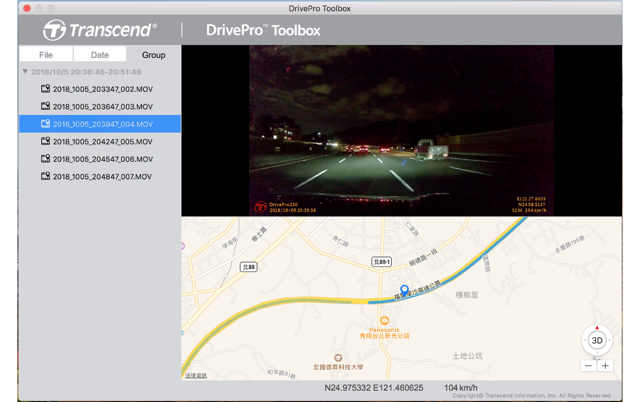 Connects the DrivePro or use a microSD card slot supported card reader or adapter to playback recorded video events on your Mac. * Sort files by date in the ascending or descending order. * Export a video by clicking on the "export" icon. 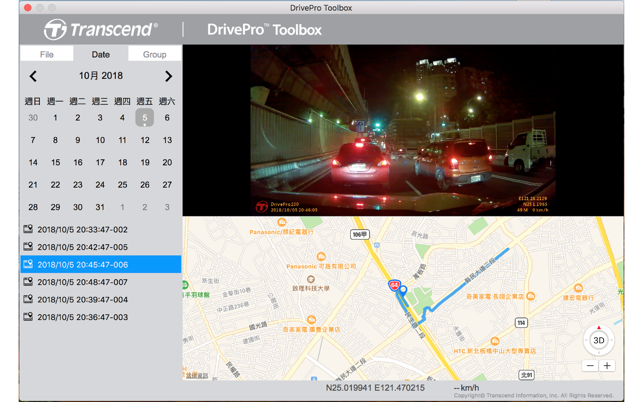 * Date/time format in the file name will be consistent with the user's computer settings. 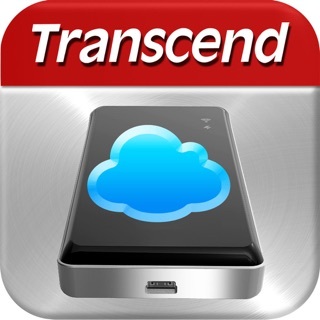 © 2016 Transcend Information, Inc.